The Scarborough and Ryedale Mountain Rescue Team were called out to reports of a red flare yesterday evening. 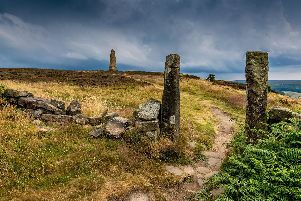 The team were called by North Yorkshire Police to the flare which had been seen above Egton High Moor in the North York Moors National Park. Eighteen team members and four team vehicles deployed for four hours in response to the call out at 6.18pm. A spokesperson from the Scarborough and Ryedale Mountain Rescue Team, said: "Thanks to a good description of the likely location of the flare and evidence on the ground we identified the launch site as being the junction of a green lane and public highway. "After a search around of that area it was determined that there was no one in distress and the team were stood down by the police. "We would ask that people think carefully about the implications of releasing pyrotechnics or fireworks in remote places."